From the airport to Banff is approximately two hours. Sit back and relax (or work) if you like – we have power outlets on-board. It’s clean, it’s comfortable, it’s new! 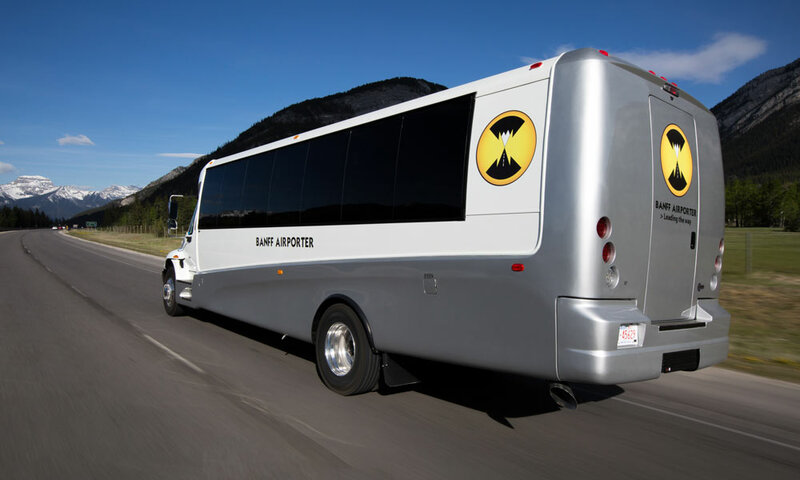 When you board Banff Airporter®, you’ll enjoy Banff’s most luxurious fleet. 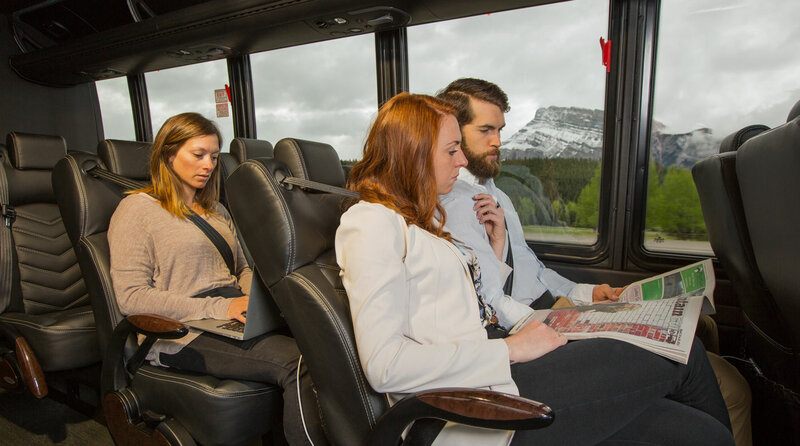 The Banff Airporter® team is made up of people passionate about sharing their mountain lifestyle with you. Travel in style in your high-back seat with 110V plug-in and individual temperature control. Large tour windows offer peak-to-peak visibility. Air suspension cushions the ride. Rear air conditioning moderates air temperature in both summer and winter. We employ and train all of our drivers locally. All our staff have a passion for mountain living. Feel free to ask them for local tips. They are excited for your stay, so use them as the inside track for tips on what you’ve got to do while in Banff. service. We coordinate each and every pick up or drop off list and, if required, will have a second vehicle help with drop offs so that you get to your destination in the allotted time. The drive from Calgary to Banff is amazing. You’ll spend about 20 minutes in the city, 30 minutes in the prairies and foothills and the rest of the time driving through the Canadian Rockies. Some features to look for include: Canada Olympic Park – site of the 1988 Winter Olympics, Lac Des Arc, Mount Lougheed, Three Sisters Mountain, Town of Canmore, Banff National Park East Gate, Banff Legacy Trail and Banff Hoodoos.